Episode 10 -Yes! more LA Galaxy Signings! Can’t believe that we are here. Episode 10. With a significant amount of downloads across all platforms (over 800 not including the people that Angel is forcing lol). From the #SFTS crew, thanks for the support! Keep shooting the feedback! You get a contract, he gets a contract, they get a contract, everyone gets a contract! In Episode 10, “Yes! More LA Galaxy Signings!” the #SFTS boys cover a busy week on the transaction front for the LA Galaxy. Several key signing and depth players including Perry Kitchen and Emrah Klimenta. Also short a conversation on some recurring rumors and some new. 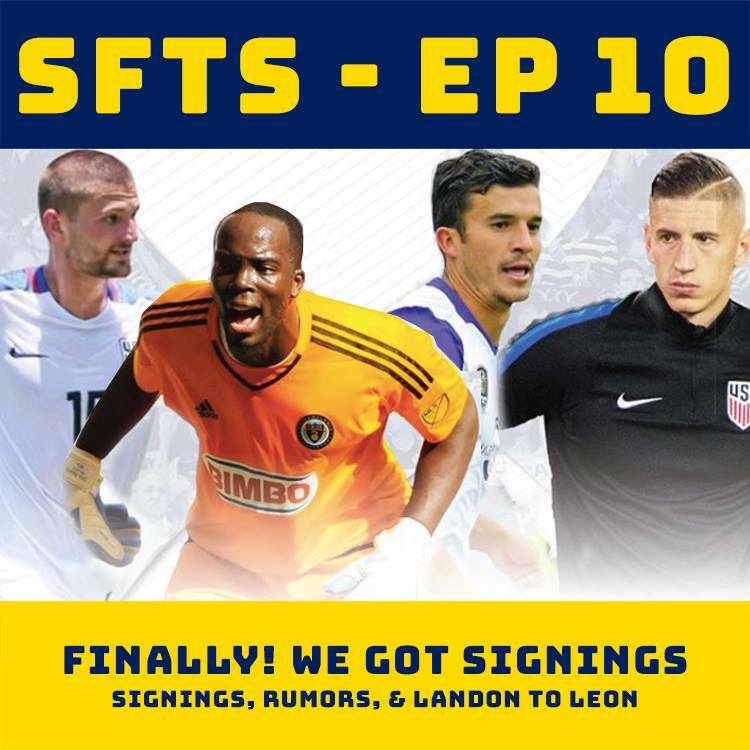 To the end the show, as requested by Jorge, the #SFTS crew talk Landon Donovan to Leon in Liga MX. – 45:40 The Bret Favre of U.S. Soccer, Landon Donovan to Club Leon in Liga MX.